Even the most hard-nosed, empathetically challenged Brits must have been shocked and mortified at seeing the video of a refugee child being physically abused and bullied at a school in Yorkshire. Jamal from Homs is just 15, but the racial abuse he and his sister received is a stain on British society. Some phenomena strain the grey cells of the world’s finest and brightest to define. One survey shows more than 100 definitions of terrorism. Try describing racism in just a sentence. Antisemitism has caused immense controversies and difficulties. Add to this pot the awkward term Islamophobia: Many have tried; few have satisfied. The All-Party Parliamentary Group on British Muslims took on the challenge in a report published last week. The aim was to garner support for an agreed definition of Islamophobia that would be fully adopted by the government, not just in Britain but elsewhere as well, to reach a common understanding of one of the most challenging issues in the world today. It would then help in reporting and countering Islamophobia, as well as aiding victims. 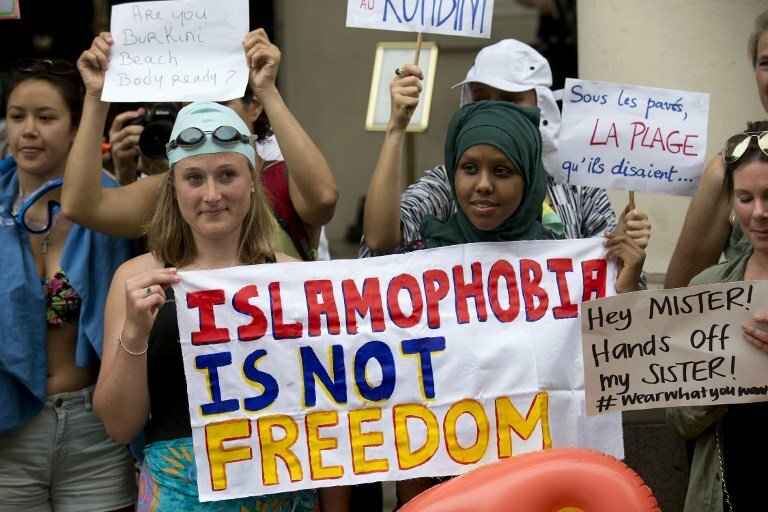 Their formulation follows a six-month period of consultations on the issue and is as follows: “Islamophobia is rooted in racism and is a type of racism that targets expressions of Muslimness or perceived Muslimness.” The authors concluded that, while Islamophobia itself may not be a perfect term, it was the best given its widespread currency and acceptance. Such a formulation did not appear in the definition put forward by the Runnymede Trust 21 years ago in a report that many believe put Islamophobia on the map. It described Islamophobia as “a useful shorthand way of referring to dread or hatred of Islam — and, therefore, to fear or dislike of all or most Muslims.” The proposed definitions have evolved into more robust forms. Islamophobia undeniably exists, even if an agreed definition does not. The standout part of the new definition is that Islamophobia is “rooted in racism.” Consensus on this will be far from easy. Islam is obviously a belief and not an ethnic group. Should Islamophobia be included within an anti-racism paradigm? Unquestionably many acts of Islamophobia are rooted in racism, but some question whether all are. The racialization of religion is a factor and an increasingly potent one. Some have shown ideological and religious-based prejudice toward Islam and Muslims, of a type that goes beyond reasonable criticism. It must be stressed because many online comments ignored this — the report made clear that Islam and Muslims must not be above reasoned criticism. It pointed out that, from the earliest days of Islam, it was seen as a strength to debate such issues. Does agreeing a definition matter? The British government has dodged the issue. A Home Office minister was blunt: “We do not accept the need for a definitive definition.” But for the victims it certainly does. Many anti-Muslim hate crimes go unreported because of this, and proper help to victims is not provided. Islamophobia undeniably exists, even if an agreed definition does not. A deliberate attack on a mosque to hurt Muslims is certainly Islamophobic. Muslims and those perceived to be Muslims face both overt hostile and violent acts, as well as the more subtle and unreported types of prejudice. Mosques are targeted, and even gurdwaras too (many Islamophobes are not that bright), among other crimes, but statistics also show discrimination in the workplace, where British Muslims are less likely to get top jobs, and wearing a veil counts against Muslim women. For the latter category, they can suffer a triple whammy of prejudice against their ethnicity, faith and gender. Only in August, former Foreign Secretary Boris Johnson compared Muslim women wearing the veil to letterboxes. Some contend it does not exist, but thankfully this has become a niche viewpoint. Some think that Islamophobia is justified in that society should be scared of Islam and Muslims. Yet, as the report highlights, it is both widespread but also constitutes “Britain’s bigotry blind spot.” It has become normalized. Islam and Muslims are still seen as un-British, as belonging elsewhere. Muslims are depicted as a fifth column by many, yet polling consistently shows strong loyalties to the UK. In a 2016 poll, 93 percent of British Muslims said they felt they belonged to Britain. For all the concern, Britain remains ahead of its counterparts in Europe and North America in many ways. Some 94 percent of British Muslims feel free to practice their faith. The UK far right has fared much worse than in France, Germany, Sweden and Italy. Many other countries cannot boast of having had Muslim Cabinet ministers or a democratically elected Muslim mayor of their capital city. Many of these countries have not even had a debate over defining Islamophobia, let alone the burgeoning reports published on a regular basis in Britain. This definition has undeniable strengths and shows progress toward an acceptable template that, vitally, could be legally binding. Yet, for all the determined effort, the proposed definition still feels inadequate. In the drive for brevity, perhaps the definition just needs to be longer because Islamophobia in all its ugly guises cannot be reduced to a single sentence. That said, time is pressing, as a major counter-Islamophobia strategy cannot be implemented too soon, or else other Jamals will have to suffer similar horrors.